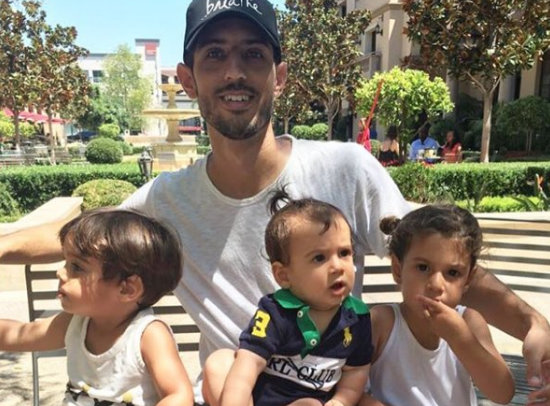 Earlier this month, Nicole Richie tweeted out a call for action regarding Adam Krief, a husband and father of three, who was diagnosed with Primary Myleofibrosis: A blood cancer that is only curable by way of a bone marrow transplant. And earlier this week, Kim Kardashian seconded Richie’s efforts on social media. Adam is currently on his second round of chemotherapy and doesn’t have a perfect match yet to proceed with the bone marrow transplant. His mission is to find that match for himself, and for others, by encouraging people to donate their bone marrow in order to save a life. Adam’s Facebook page, Hope 4 Adam, has gained over 10,000 likes in the one month since his diagnosis, and has been the main education hub to teach people about his cancer and what it takes to donate bone marrow. Adam also keeps his followers up to date on his fundraising efforts that are focused on finding his perfect bone marrow match. According to The Gift of Life, an online organization dedicated to curing blood cancer, Adam is one of around 130,000 people in the United States who is diagnosed with blood cancer each year. For most who get diagnosed with one of the three main types of blood cancer (Leukemia, Lymphoma, or Myeloma) “there is hope of a cure through a bone marrow or peripheral blood stem cell transplant,” The Gift of Life website explains. These life saving stem cells are donated by volunteers, who are sometimes related to the patient, but more often they are complete strangers. And that is what Adam is waiting for – the one donation that is going to save his life. And although processing a bone marrow swab kit (used to find marrow matches) in the United States is free, that is not the case for other countries, where processing a bone marrow kit usually costs around $50. So Adam’s mission is to raise enough money to process thousand of kits from around the world to find his match, as well as provide the bone marrow registry with thousands of new donors capable of potentially saving thousands of lives. 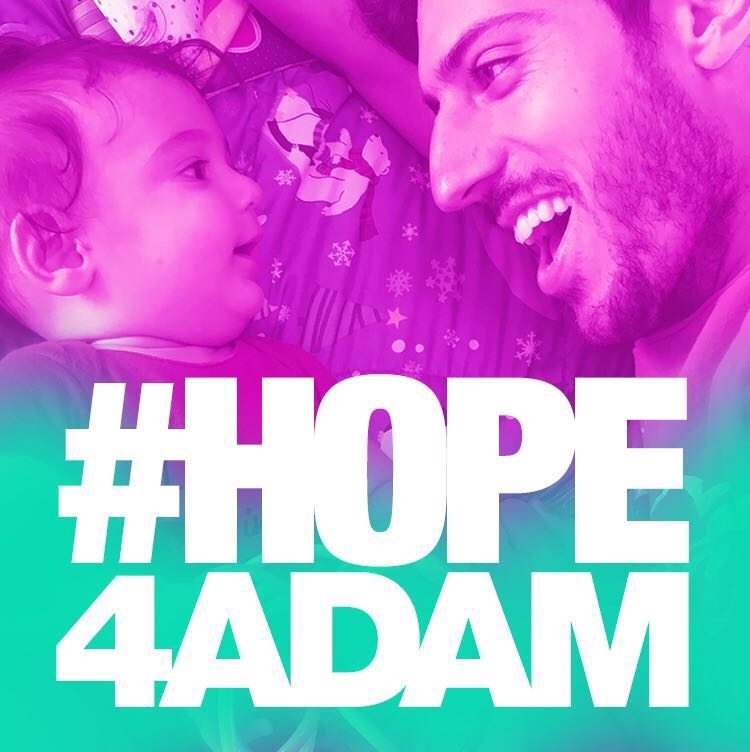 If you’d like to support Adam’s quest for a bone marrow match, you can head to his Facebook page: www.facebook.com/Hope4Adam. You can also click on The Gift of Life’s website, www.giftoflife.org, to learn more about donating your own bone marrow, or supporting the cause through volunteering or organizing a donor drive.